0800 955 1982 or 01452 520 668 for full details on all areas covered. Just say the time, we'll get back to you when it suits you best. This website has been designed to help you through the process of moving home with information not only on the removal itself but also other removal day issues. 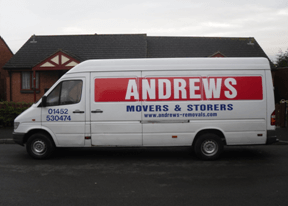 Andrews Removals are a family run Gloucester removals & storage company, offering a friendly prompt professional service with good value for money. We have extensive experience with all aspects of house removals, office removals and international removals along with worldwide shipping. 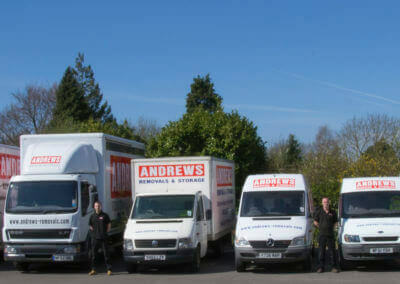 Andrews removals can take care of your office or house removals throughout Gloucestershire and further afield including all of the following areas, Cheltenham, Gloucester, Tetbury, Bristol, Tewkesbury, Evesham and Worcester and more. We also have secure de-humidified storage in Gloucestershire. 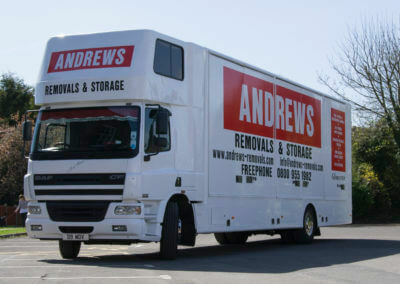 Andrews Removals, Gloucester, Cheltenham, Tewkesbury, Evesham. We deliver to any UK and European destination and can also arrange shipping worldwide. Our polite, respectful and experienced staff are fully uniformed and fully equipped with protective covers for all items of furniture. We also provide sack trucks, piano removal wheels and wardrobe boxes to keep your clothes crease free. We are a progressive business offering professional removal & storage services to customers throughout the south west of England. The company is currently managed by Mr Perry Andrews who has broad experience with all aspects of the removal industry, moving both domestic and commercial furniture around the United Kingdom and Europe since 1999. 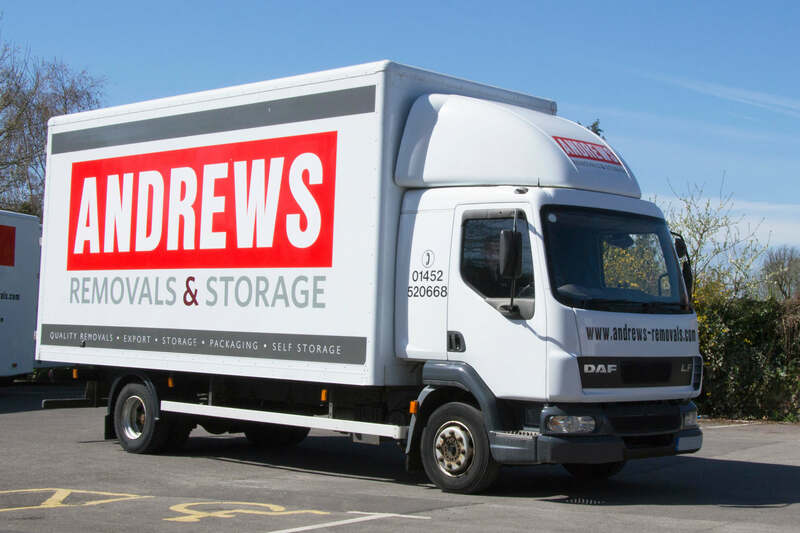 Mr Andrews has also been involved in the shipping of furniture worldwide for many years, so as you can imagine if you are looking for an experienced professional removals firm Andrews Removals Gloucester are the team you need. 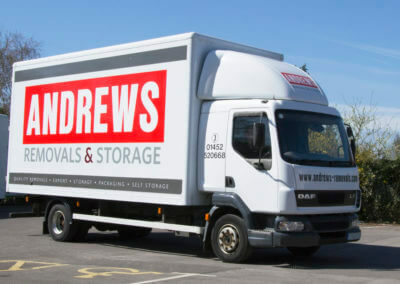 Andrews of Gloucester have always supplied our clients with a fully trained team of professionals that have significant experience and knowledge of the relocation industry. 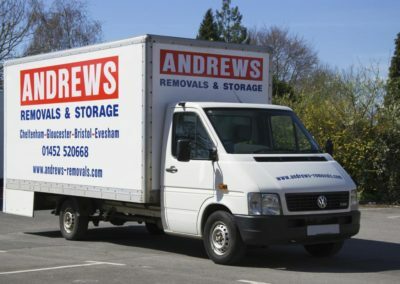 Because of this Andrews Removals will always promise to load our customers valued possessions with the utmost care & attention, our staff are also Criminal Records Bureau checked or, CRB checked as its better known and can be asked to work in any environment from the domestic household to schools, colleges and hospitals both home and abroad as directed. The company is a registered member of the Gloucestershire Trading Standards “Buy with Confidence scheme. 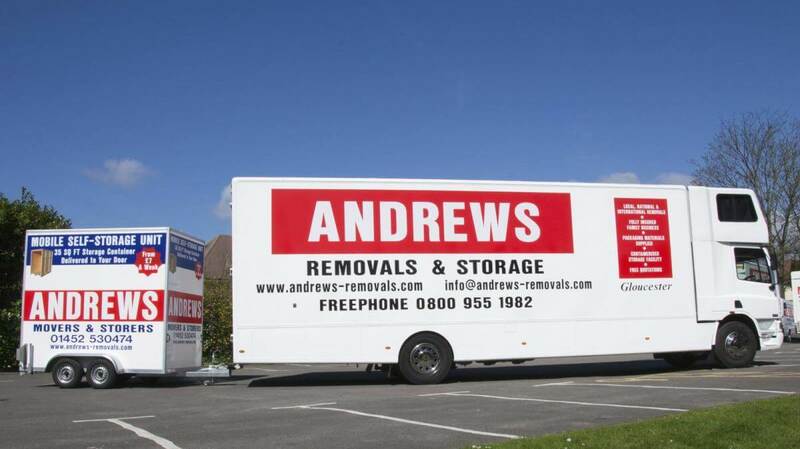 In 2012 Following a full audit and inspection by Trading Standards, Andrews Removals were awarded its first approval certificate. 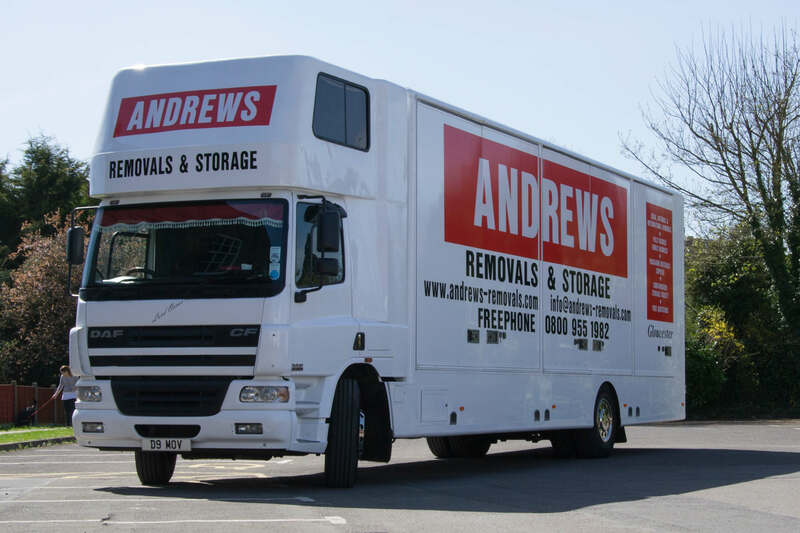 Still to this date Andrews Removals are proud to be one of only three removal carriers in the county of Gloucestershire to have been awarded and approved by this scheme. Our main priority is to supply local people with a tailored removals service and if needed offer clean dry dehumidified containerised Storage in Gloucester to keep furniture safe. Our polite uniformed removal staff endeavour to make our clients removal a stress-free experience every time. 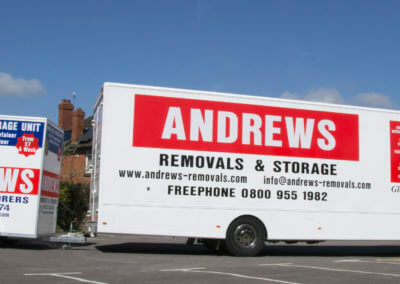 Andrews Removals work with a small network of clients, located in and around the south west of England, our clients include local authorities, furniture shops, furniture makers, air conditioning suppliers, french polishers, estate agents and self Storage companies in Gloucester. We have managed to build this network of clients through our friendly and professional service. As supplying removals in Gloucester, Cheltenham and the Tewkesbury area is becoming a greater demand we make sure we are always fully prepared to move anyone at anytime. Everything needed to make your move a stress free experience. 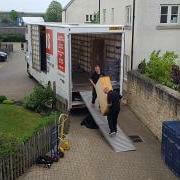 A fixed-price, door-to-door service is offered on all large commercial and domestic removals Gloucester. An hourly rate can be offered for smaller local removals in Gloucester or Cheltenham. From the moment you first call, your satisfaction is our main priority. Our staff will be on hand to offer advice and give any information you require up until the job is finished. 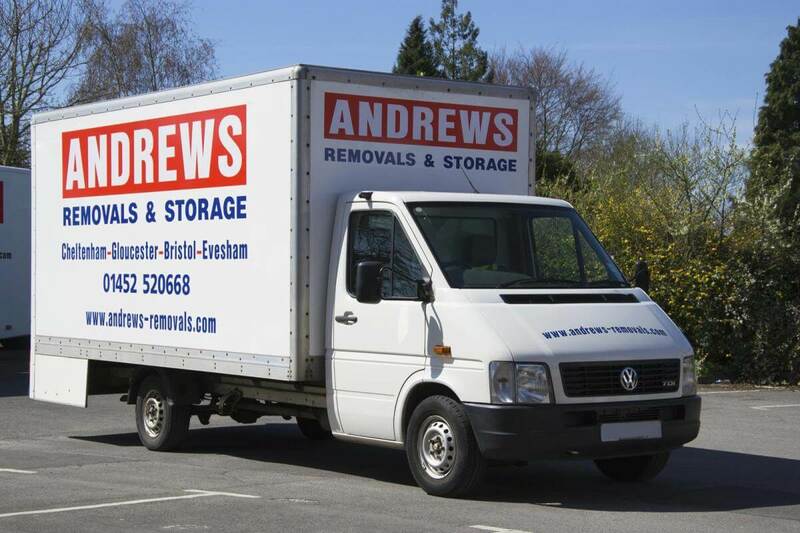 So if you are looking for removals in Gloucester then contact Andrews Removals And Storage. All the businesses listed on this website have been vetted, approved and continue to be monitored by Trading Standards, to help ensure you receive a quality service. As a company we are a environmentally friendly choice for moving your possessions, find out more with this link below. Over the years we have built up extensive knowledge and experience with all aspects of house removals, office removals and international removals along with worldwide shipping. A view from two of our many satisfied customers. We are a return customer because to do anything else, or go anywhere else, was simply not a sensible option. 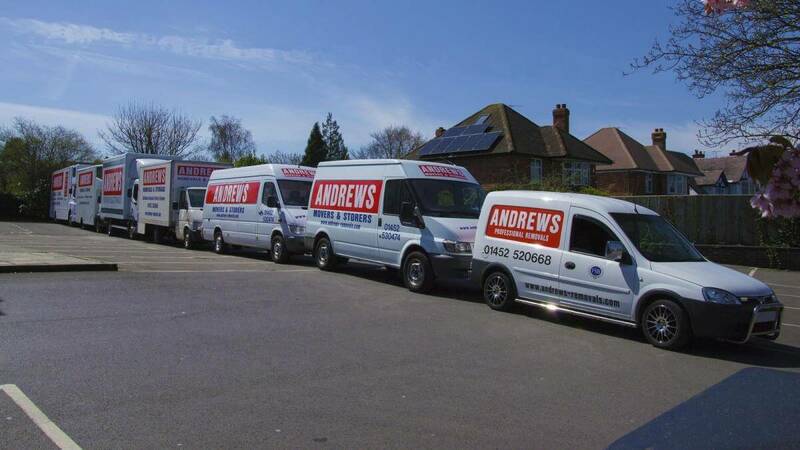 The Andrews guys deliver a top-notch, efficient, friendly and highly professional service. What others might achieve with ‘a man with van’ would take five times as long with a higher risk of damage. 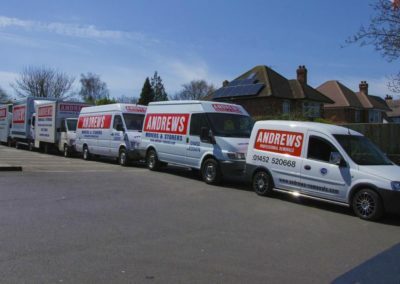 Andrews are extremely reliable and they make light of what would have been your hard work, taking the stress out of your move and giving you complete trust that the job will be done within budget to a high standard. What really got me on the big day was the smiles and kind words the guys gave me during what was a very difficult and emotional time for us; whilst I saw my late dad’s items loaded into the van and, with tears in my eyes I pleaded for them to take care, they had the heart to give me the time to be human, and offered me assurances that the items will be ok, which of course they were. Using Andrews is a complete ‘no-brainier’. And I absolutely promise this is a genuine recommendation.